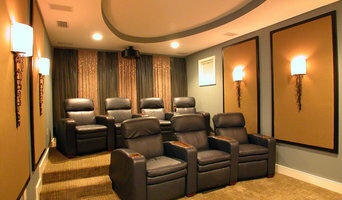 Acadian Home Theater and Automation, based in Baton Rouge, is the premier Audio/Video and Smart Home technologies firm in Louisiana and the Gulf South. Our professional team of audio, visual and integration experts have over 150 years of combined experience in the industry. We are dedicated to enhancing the lives of our customers by carefully planning, designing and integrating systems to reflect individual needs. It is our goal to create a better everyday life for our customers by making their homes or offices more enjoyable and easier to manage. Our Experience Center is a place where you can see, hear, and fully experience extraordinary enhancements for your home that will blend seamlessly with its decor. Please visit us and learn firsthand how our design-friendly systems will make your home more enjoyable, comfortable, and secure. We are a full service Electronic Systems integration firm dedicated to providing you with the best experience available. At Integrated Home Systems, we have 20 years of experience in the consumer electronics industry and a passion that drives us to continually seek out new technologies and products. We can guide you in making the best choices for your electronics needs. We carry the products that we love to use and are proud to be affiliated with. Give us a call today. THE MAGNOLIA DIFFERENCE Elite Brands With premium brands like McIntosh, Sonus faber, Bowers & Wilkins, MartinLogan, Sonance, Savant and so many others, Magnolia is one of the few locations in the world where you can see, hear and demo these products in a single location. Expertise With our Project Managers, Engineers, and Installers, Magnolia has the expertise to handle any job from inspiration to installation. Showroom Experience Magnolia's showrooms feature interactive family rooms and inspirational demo rooms where you can experience the latest technology like nowhere else. Audioapplianceexperts.com is professional custom camera systems installation services for home security in Baton rogue region at affordable price. We provide spectrum of services which include home appliance installation, designing, consultation and more. Contact today! We are more than Audio / Visual installers – we create immersive experiences that will continue to wow. Couple that with exceptional industry knowledge and outstanding, continued service, and IHM may just be the dream team for your next project. Our goal is to yield the best cost to performance value for our clients. Our projects can be scaled to meet a wide range of budgets while still achieving a well thought out asset allocation to deliver the very best experience for the dollar. 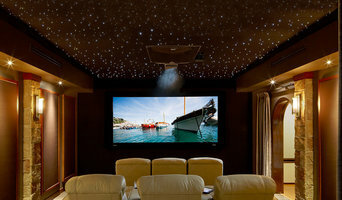 Innovative Home Media diligently works to make sure the client’s home video and home audio desires are outlined and understood prior to starting the system design. From initial concept to final construction, IHM follows specific procedures to ensure thorough communication. We clearly document the client’s scope of work requirements using detailed reporting methods. This process ensures that we are engineering a system based on the customer’s goals for functionality, system aesthetics and performance. We have seen tremendous growth in Baton Rouge for over 10 years. As a home electronics design and custom installation company, based in Baton Rouge, we specialize in the new construction market and assist hundreds of builders and homeowners in preparing their new homes for the future. 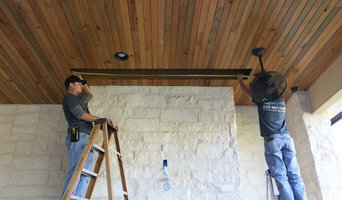 From the pre-wire and pre-trim stage, to the final installation and training, our clients find working with Solid Rock Technologies an enjoyable experience. Our team of trained technicians are fully equipped to install your electronic systems efficiently and professionally. The ongoing training and development of our teams is a key priority of our success. Follow-up and continuing customer service gives our clients the peace of mind that their next social gathering or game day party will be a spectacular event. 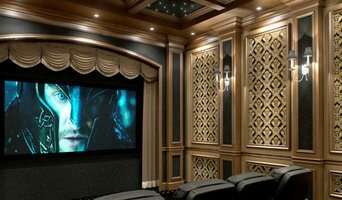 At Magnolia, we’re dedicated to helping you build the perfect home entertainment system. Every project at Magnolia starts with us getting to know exactly what you’re looking for, whether that’s as simple as a conversation in one of our stores, or as part of an in-home consultation. I have been building my sales expertise for more than a decade. I am qualified to identify clients unique goals and needs. Through my strong values of persistence, patience, and integrity I have exceeded client expectations. I have always been compassionate and committed in focusing on the total solution for my clients. Find a home media designer on Houzz. Narrow your search in the Professionals section of the website to Village Saint George, LA home media designers. You can also look through Village Saint George, LA photos by style to find a room you like, then contact the professional who designed it.